Suitable for holding flywheels and pulleys during removal and installation. Two sizes of pins; 5.7mm one side and 9.3mm the other. 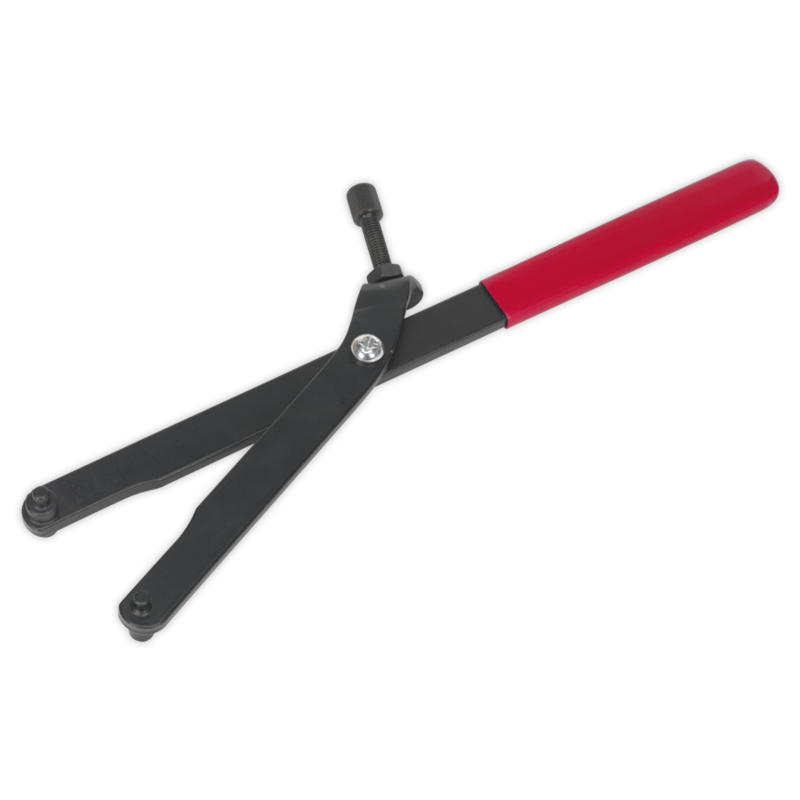 Features a locking adjustment screw to keep tool at required set size. PVC Dipped handles for extra grip and comfort when in use.